Poop Sign! 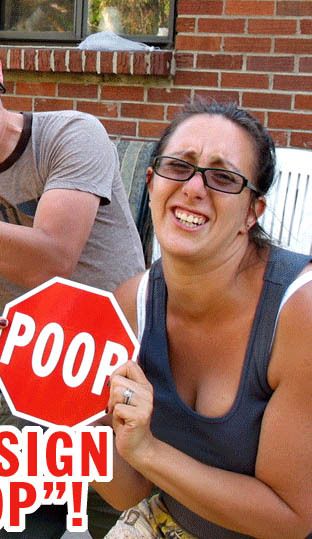 It's like a stop sign but it says "Poop". 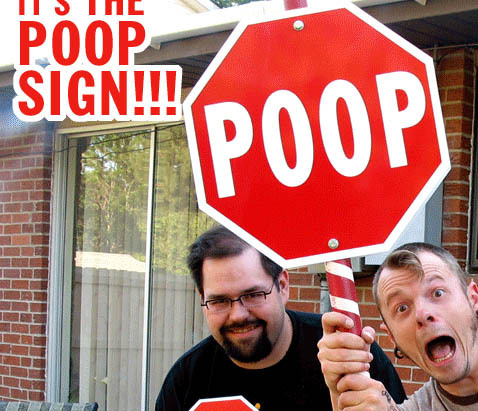 Poopsign.com All rights reserved and (c) Chris Yates Studios 2006-2009. Patent pending. Video by Harris Porter & Chris Yates, Music by Michael Felix. Please drink responsibly.